Hi! 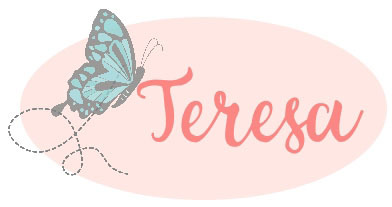 Thanks for coming to my blog today! We are being highlighted internationally by Kylie Bertucci and you are able to VOTE for my project. The top ten winners will get to be part of an international blog hop so please vote for my project. You can do that here. Our theme this month is Encouragement. I am also giving you a sneak peek at a new product that will be available when the Occasions Catalog goes live on January 4th. 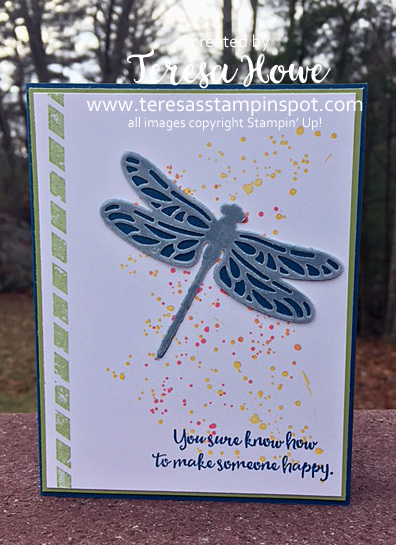 I fell in love with the Dragonfly Dreams bundle – yes, stamp set with coordinating framelits! The background is from Gorgeous Grunge and the stripe along the side is from Butterfly Basics. I really love how he turned out. The dragonfly is die cut from Dapper Denim and White Vellum Card stock. Just a reminder – the Holiday Catalog and Year End Closeout Sale ends on January 3rd. You can find the list of what isn’t sold out in my on-line store here. Thanks for stopping by! Don’t forget to head over to Kylie’s blog to VOTE for my project!